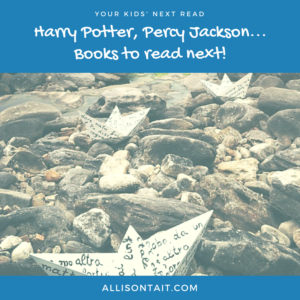 Given the response to my recent post about books for tween boys (who don’t like fantasy), it seems that there are a lot of us out there searching for just the right next book for their kids. In the lead-up to the first anniversary of the Your Kids’ Next Read Facebook group, I thought I’d share some more of the most common questions that tend to come up. When Ruth Clare asked this question in the YKNR Facebook group recently, you could almost feel the breathless excitement of group members. As parents, librarians and booksellers alike can attest, this is one of the BiG questions! Fortunately, the collective wisdom of the group was up to it, and Ruth compiled the following list based on the responses, again in no particular order. Most of these are series, which, of course, we love, and the reading age ranges from 8+ for some series (Ruby Redfort, The Familiars) to most definitely YA for others. Clicking the title link on each book will take you to Booktopia where you’ll find more information about each title, and can purchase if you wish. Or you can search Amazon here. I also LOVE this post by tween book blogger Jazzy about dealing with a Harry Potter Hangover.